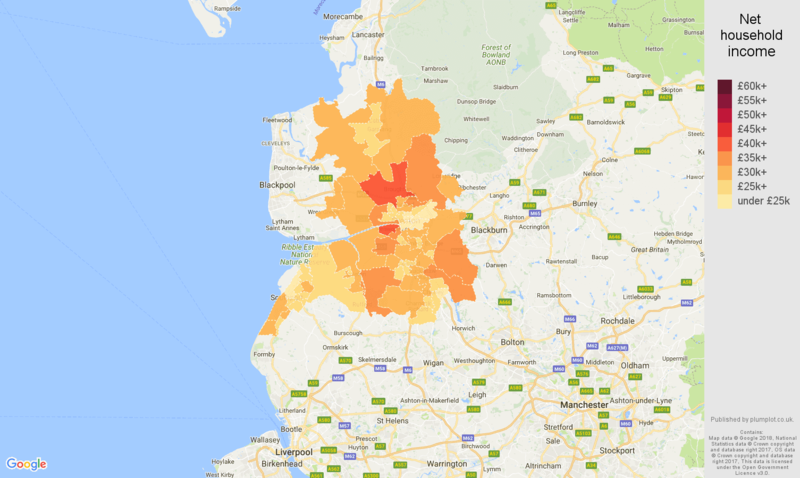 Preston Average salary, household income and unemployment rates in maps and graphs. Gross average income in 2018 for full-time employees by local government district. Employee has to be in the same job for over 12 months. The data collected is Tax Year Ending. The income includes incentive payments. Gross average salary in 2018 for female and male. Gross median income in 2018 for full-time employees including incentive payments. Median income divides the income distribution into two equal groups, upper half having income above that amount, and lower half having income below that amount. Gross median salary in 2018 for female and male. Gross average income in 2018 for full-time employees. Employee has to be in the same job for over 12 months. The data collected is Tax Year Ending. The income includes incentive payments. Gross annual median income for full-time employees including incentive payments. Map shows the net average household income in 2016 by middle layer super output area (MSOA). 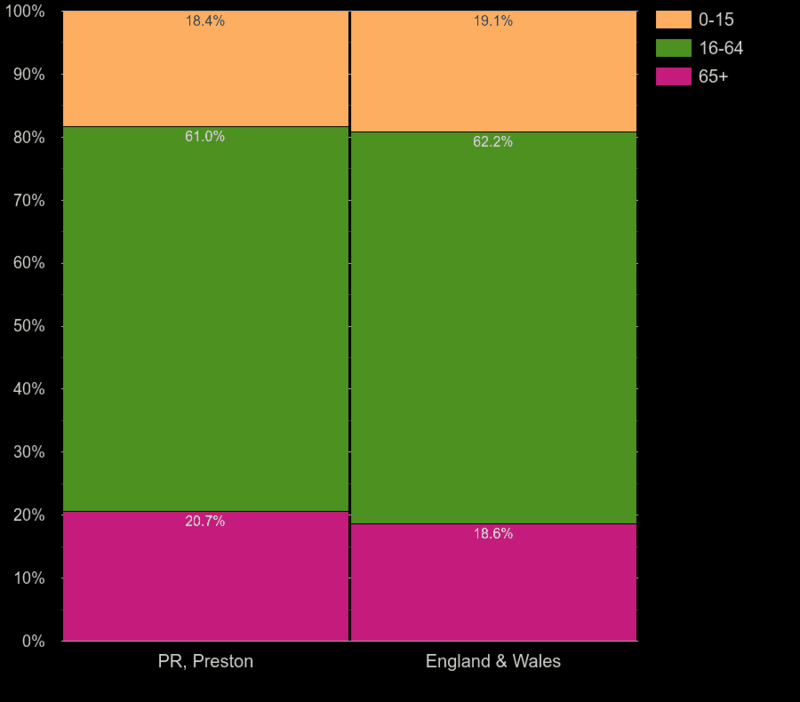 The lowest average net household income was in Preston 015, with £20.2k. The area with the highest average net income was Preston 002, with £42k. Median income was £30.4k - i.e. half of the areas had income equal or above £30.4k. Median income for England and Wales was 31.9k ( the lowest income was in Leeds 086, £16.8k, the highest in Tower Hamlets 033, £93.8k). The map below shows housing costs share of net household income. The higher the share of income costs the darker the displayed color. An equivalisation scale and different models for income before housing costs and after housing costs may result in a few inconsitencies. Although there are some inconsistencies, it does not change significantly the overall picture of area comparison. Contains public sector information licensed under the Open Government Licence v3.0., OS data © Crown copyright and database right 2017, National Statistics data © Crown copyright and database right 2017, . Data sources: Annual Survey of Earnings, Modelled unemployment for local and unitary authorities, Income estimates for England and Wales.